How much would it cost to ban antibiotic growth promoters in the livestock sector? After issuing a National Strategy for Combating Antibiotic-Resistant Bacteria in September 2014, the President’s FY 2016 budget proposed a $1.2 billion investment in funding to combat antibiotic resistance across the federal government. While the bulk of this funding (more than $650 million) is dedicated to investments in development of new antibacterial drugs and rapid diagnostics, antibiotic stewardship in animal agriculture is also a key part of the plan. $77 million has been set aside for USDA efforts to combat antimicrobial resistance and develop alternatives to antibiotics, including improved management and animal care practices and other tools. The national strategy also mentions that the FDA, which will receive $47 million to support evaluation of new antibacterial drugs for patient treatments and antibiotic stewardship in animal agriculture, will continue to support the phasing out of medically important antibiotics in food-producing animals. Banning the use of antibiotics as growth promoters in the livestock sector has been debated as a policy option in the US for decades. The FDA first called for restrictions on antimicrobial use in feed in 1977. Several studies and reports have then been published on the potential costs for the food animal industry and the potential benefits for public health of such restrictions. However, the literature is sparse when looking for recent estimates of the potential effect of phasing-out AGPs on productivity and profits in the current production systems. The growth response to AGPs is small in optimized production systems as shown in recent studies conducted in the swine and poultry industry in the US, as well as in studies showing limited effects on productivity after the ban on AGPs in the E.U. Restricting the use of antimicrobials as growth promoters in livestock production is likely to have small effects on productivity and profits in optimised production systems in high-income industrialised countries, but could be more important in lower income countries where hygiene standards and productivity are lower. The overall effect of a ban on using antimicrobials as growth promoters would vary widely depending on assumptions about how strong the actual growth response is, globally it could range from 1.3% to 3.0% of current meat production. Reliable data does not exist for global antimicrobial use in livestock production. This report attempts to estimate it and from that base, using indirect measurement methods, develops a projection of how it might evolve in coming years. It finds that antimicrobial use in food producing animals could increase by as much as 67% by 2030. 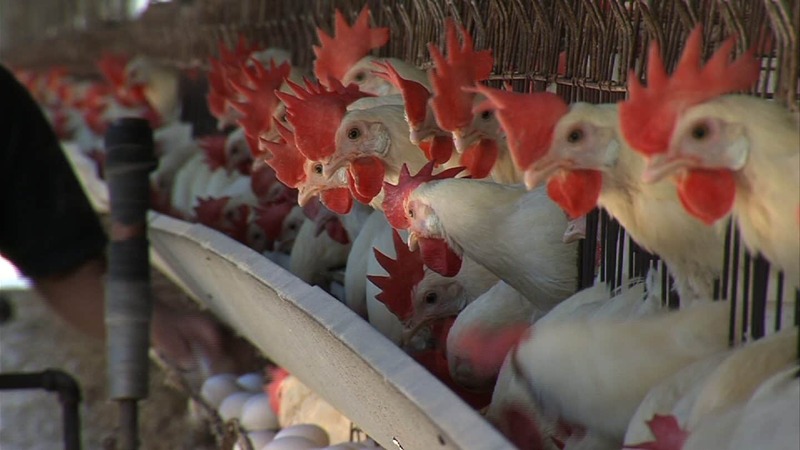 Most of that increase would occur in countries with emerging markets, and be especially important for poultry, as demand is more important and growing faster than for other livestock products. Two-thirds of the increase in global use comes from increased animal numbers in emerging economies, rather than from changes in farming practices. It is important to note that these projections are based on the assumption that farming practices stay the same across countries. Improved management practices, notably in animal hygiene, could reduce the extent of antimicrobial use substantially. Based on the Danish case study and recent studies in the US livestock industry, it seems possible to maintain production results in the absence of AGPs in both the swine and poultry industries conditional on other disease prevention measures being implemented while AGPs are being phased out. An array of strategies can be used in animal production to prevent and control disease: vaccination, segregation of herds or flocks by age, sanitary protocols and ventilation systems, adjustment in feed rations and physical biosecurity measures. Implementing these alternatives to antibiotic use in livestock production will incur initial investment costs in new infrastructure and production practices, but it also holds the potential for a more resilient animal production industry and a long-term improvement of the overall health status of the animals.